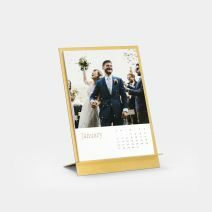 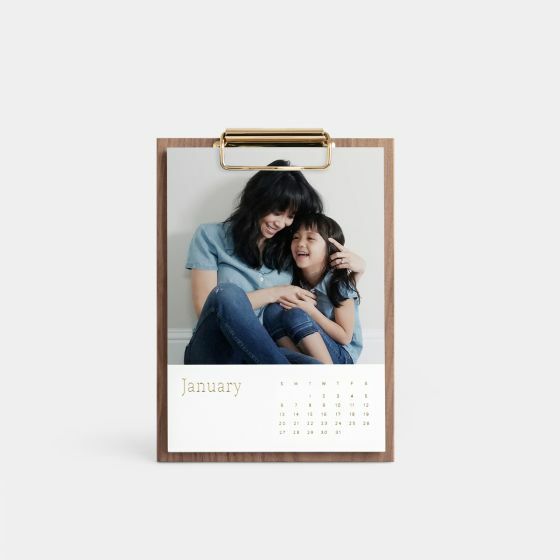 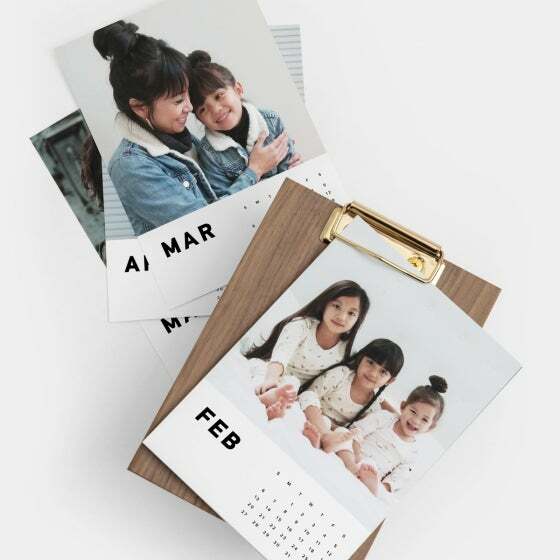 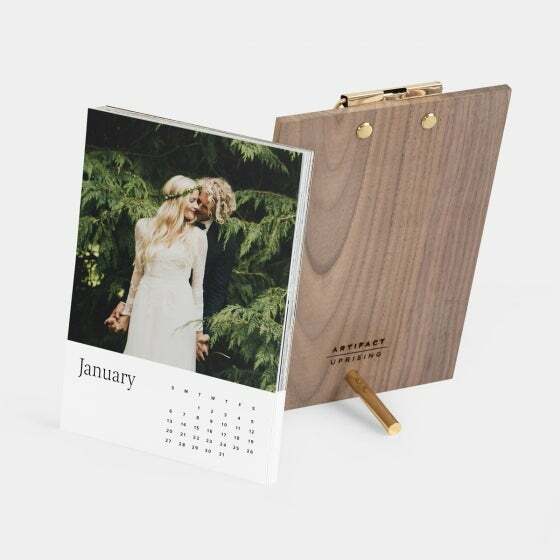 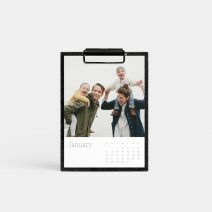 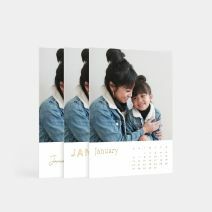 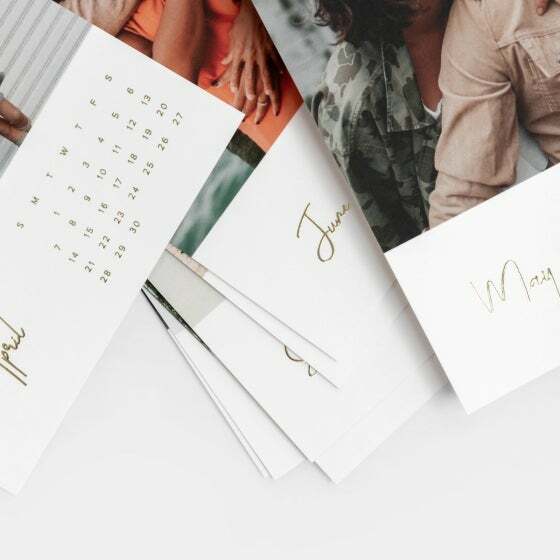 Print Size: 5 x 7"
Comprised of solid walnut wood, the Walnut Desktop Photo Calendar showcases 12 of your favorite photos in a year-round display. 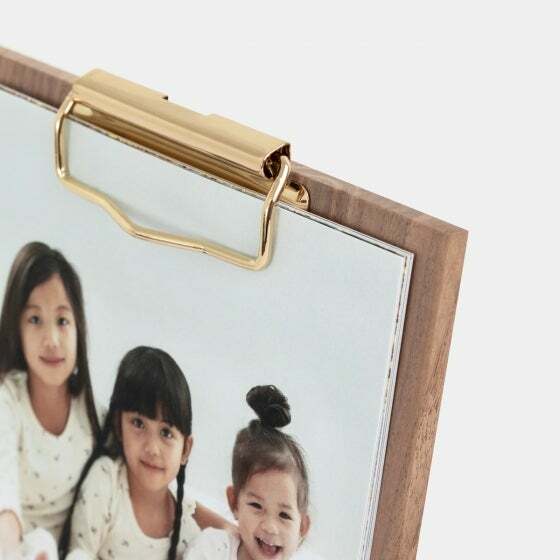 Featuring a brass-coated clip and peg stand, it makes for a modern accent to any desk. 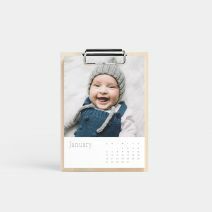 Calendars are updated on a rolling 12-month basis, and start month can be customized within the editor — no need to wait until January.